10 million vehicles sold within our Global Access Program (Lada not included) since the very first 2004 Dacia Logan. This is the very good piece of news from Groupe Renault in Fall 2017. In 2017, the Stepway family is growing with the New Logan MCV Stepway, a modern and generous wagon with an adventurous spirit! 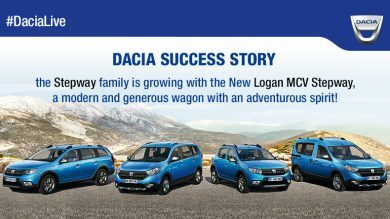 Though Dacia’s resounding international success is hardly news, the brand continues to gain ground across all the regions where Dacias are sold. 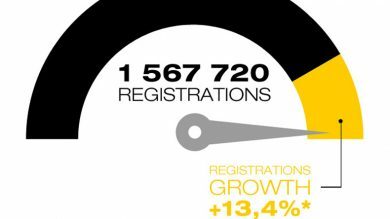 Record sales for Groupe Renault, up 13.3% to 3.18 million vehicles in 2016 for the last year of the Renault Drive the Change plan. 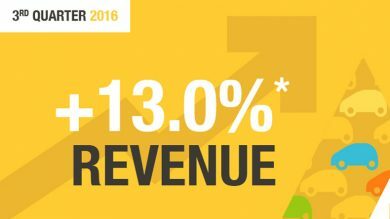 Groupe Renault revenues came to €10.5 billion for the quarter. 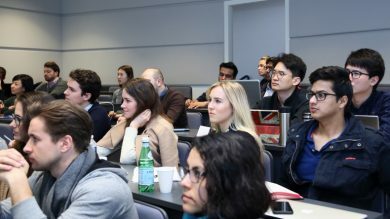 “Our market share grew across all regions, with particularly strong momentum in Europe and the Africa Middle-East India area. 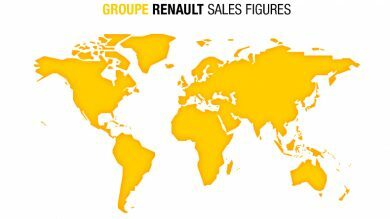 Buoyed by the success of a renewed range, the Renault brand grew by 16% worldwide, and Renault Samsung Motors by 25.9% in Asia. 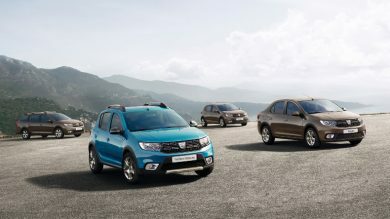 Dacia continued to grow setting a new worldwide sales record this half-year” said Thierry Koskas, Groupe Renault Executive Committee member and Executive Vice President, Sales and Marketing. Infiniti Red Bull Racing and Renault Sport F1 secured their fourth consecutive Constructors’ World Championship title during the Indian GP, thanks to Vettel's victory (who also secured his 4th drivers' world title). 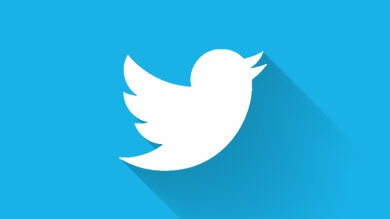 In 2013 the hugely successful partnership has scored 10 wins, 8 pole positions, 10 fastest laps and 470 points to date. 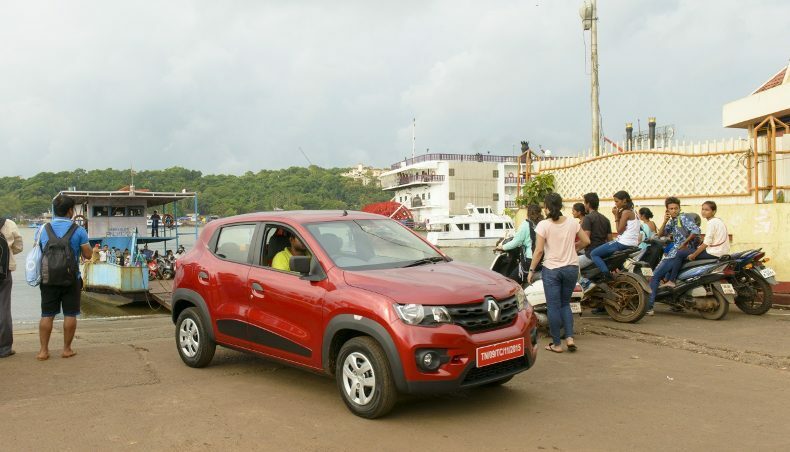 Because no large company can focus exclusively on its economic performance without paying attention to what is happening around it, Renault supports initiatives aimed at helping local communities and the environment. 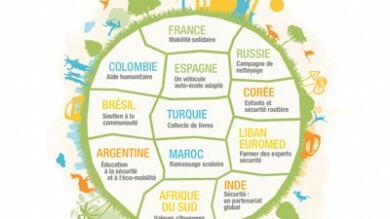 In 2012, Renault thus set up some 350 social responsibility initiatives, primarily on the topics of road safety, mobility assistance, education, and diversity for greater equality of opportunity. A few weeks ago, Mark Webber from Infiniti Red Bull Racing Team introduced New Clio R.S. 200 EDC in Australia with an appearance in an exclusive video. While in Malaysia, Williams F1 Team pilots Pastor Maldonado and Valtteri Bottas promoted the hot hatch towards the local media. Yesterday was the turn of Lotus F1 Team pilot Kimi Räikkönen. 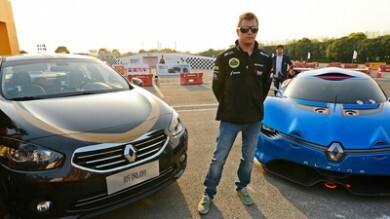 During a side event of the Chinese GP, he unveiled the new phase of the Fluence sedan (built in Busan, South Korea).